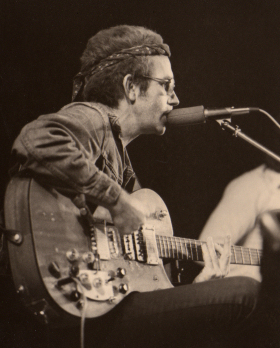 These pictures are nothing new neither secret, I saw them for the first time so many years ago in a J.J. Cale songbook. I stumbled upon them again today, and just thought that these are simply worth to have a look at (and I know that J.J. Cale ranks high among us Mark Knopfler fans). 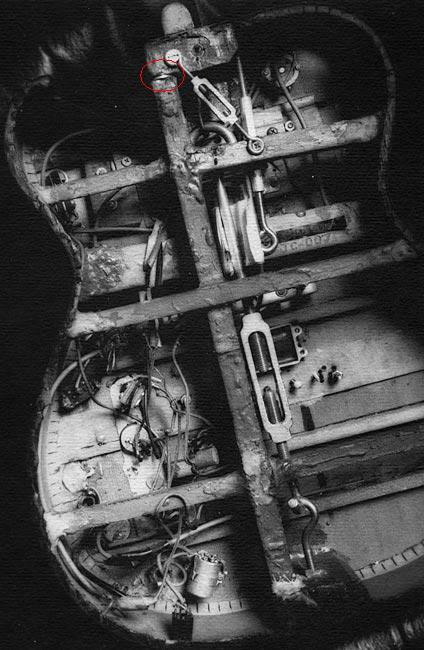 Just to make it clear: this is not what the guitar looks like from the back after removing some backside lid, this was the way he played it in the studio and on stage. Crazy, isn’t it. 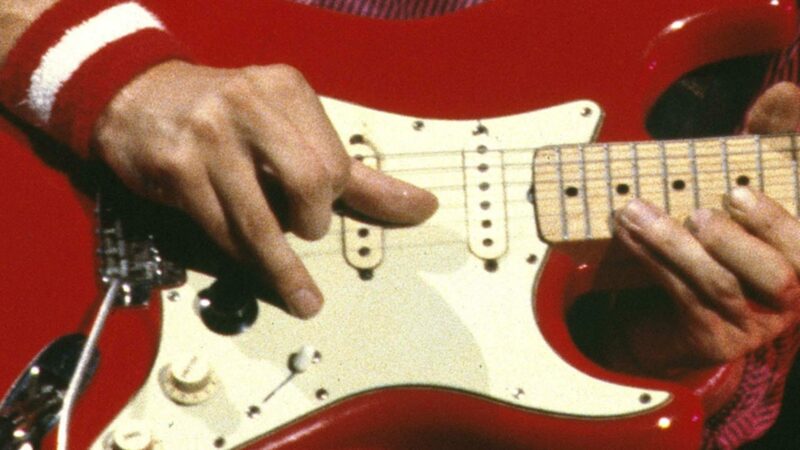 Note an even crazier detail: What you can see in the red circle is a coin which he put in to adjust the action of the guitar (it bends the top a bit so that the action becomes higher)!! 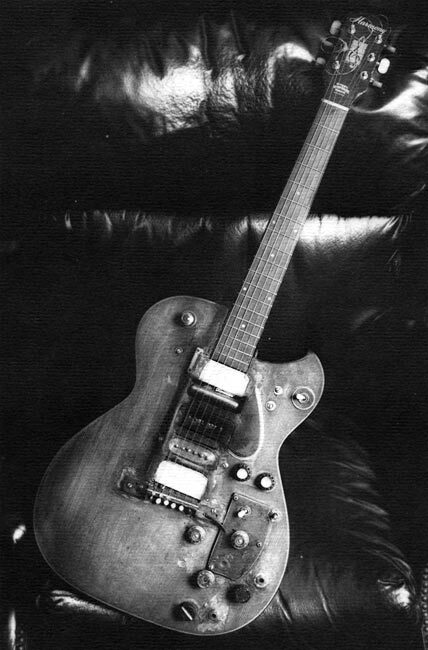 I actually have a Harmony H162 which I plan to modify to an early version of this beast just the lipstick and maybe a P90 which is all he had in the early years. Have a poster of this guitar in my guitar room also amazing thing and such history.